Bollards and Signs - Paving Professionals, Inc.
A bollard is a steel pipe filled with concrete and anchored into concrete in the ground to prevent cars, equipment, and/or people out of sensitive areas. 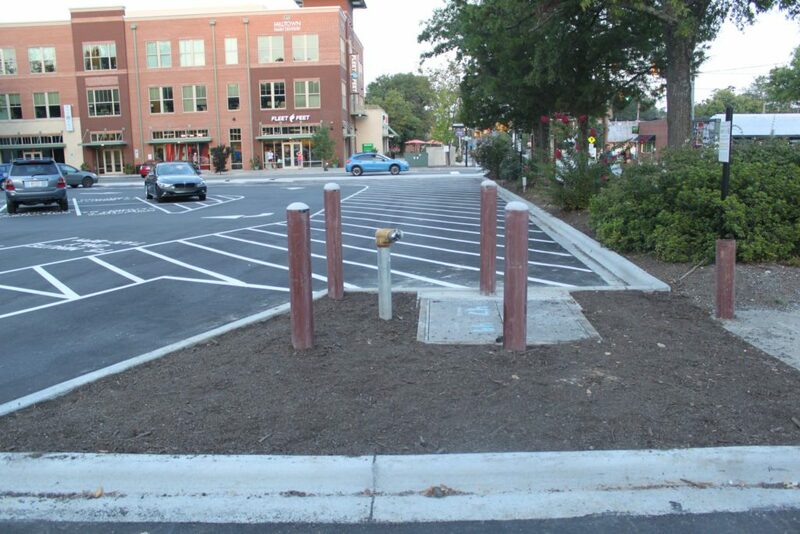 Bollards are also designed to direct traffic and offer protection from vehicle intrusions. Also used as visual barriers, bollards are manufactured and installed to withstand major impacts of vehicles. We also provide a variety of directional and ADA signs that may be required at your facility. Curb and handicap signs identify parking spaces for the disabled, students, and employees, ensuring visitors know that you care about their safety and protecting your business from potential liability in case of an accident. Traffic signs help control traffic and make parking lots safer. We can install a wide array of traffic signs. 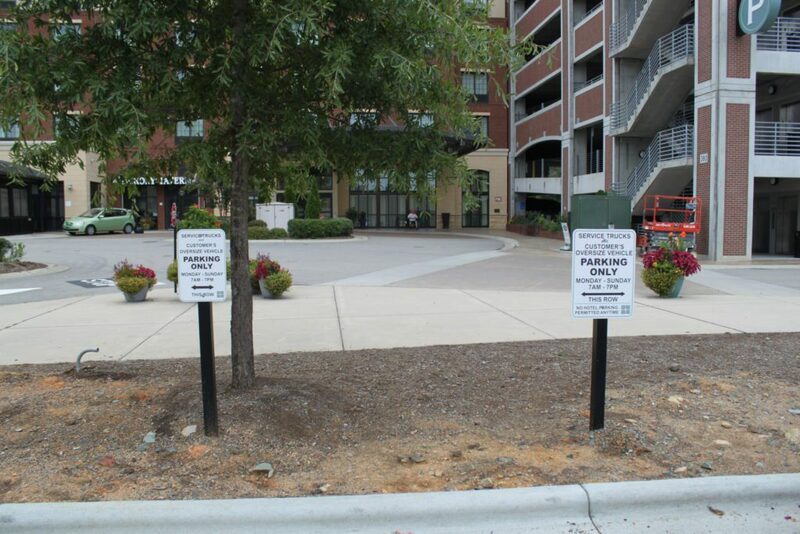 From regulatory, warning, marker, to informational signs, we can provide both commonly used and custom-made signs for your parking lot.